Slovenia is simply heaven. Situated between the high Alpine mountains and the warm Adriatic Sea, it is home to all sorts of magnificent natural attractions. 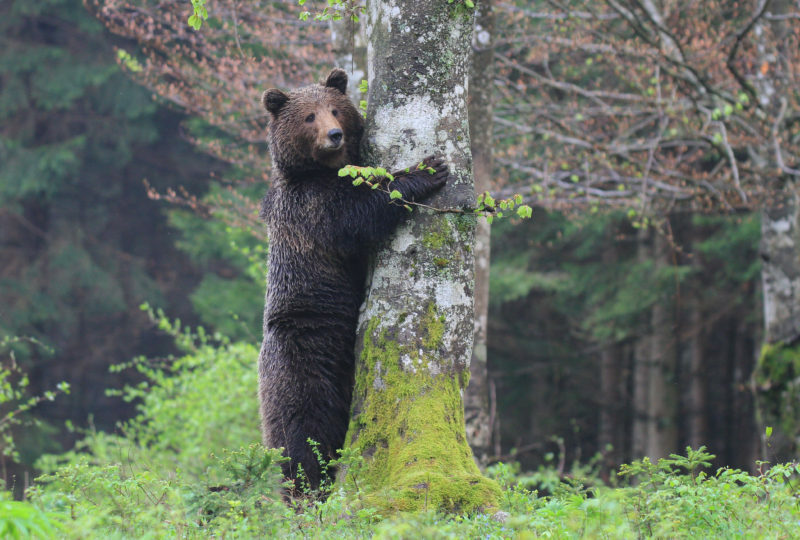 As much as half of Slovenia’s surface is covered in forest, which offers a perfect shelter for many kinds of wildlife. A wide range of outdoor activities can be enjoyed here, such as hiking, biking, rafting or wild life watching. They can be done separately or over multiple trips, or they can be combined into one trip to experience a multi-activity adventure either individually or with the entire family to spend as much time on holidays together as possible. 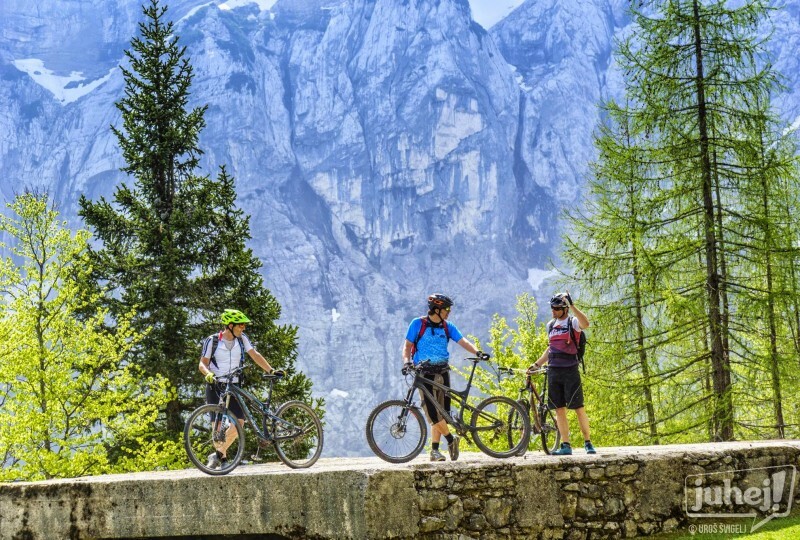 The tour includes hiking around Lake Bohinj, biking to an alpine valley, exploring the emerald Soča river on mini rafts and visiting the stunning Tolmin gorges. 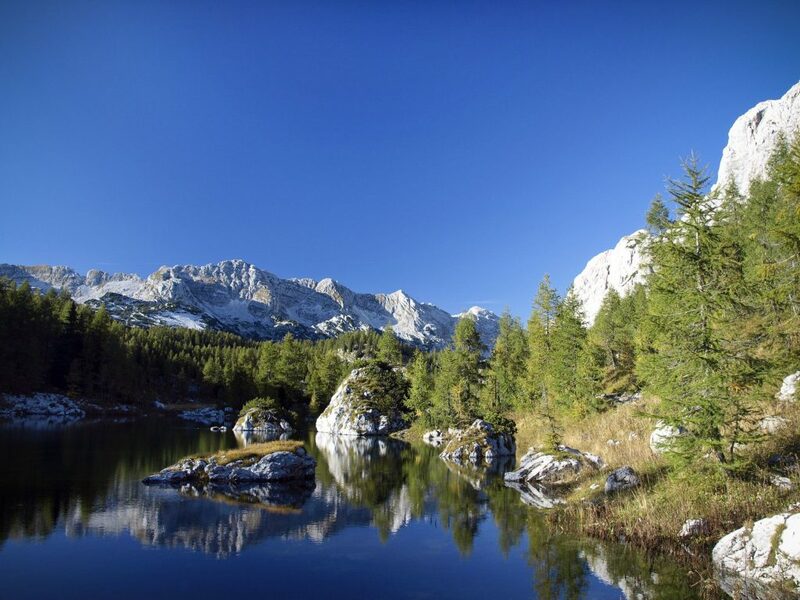 All atractions are part of the Triglav National Park, one of the Top 10 destinations of 2018 by Lonely Planet! 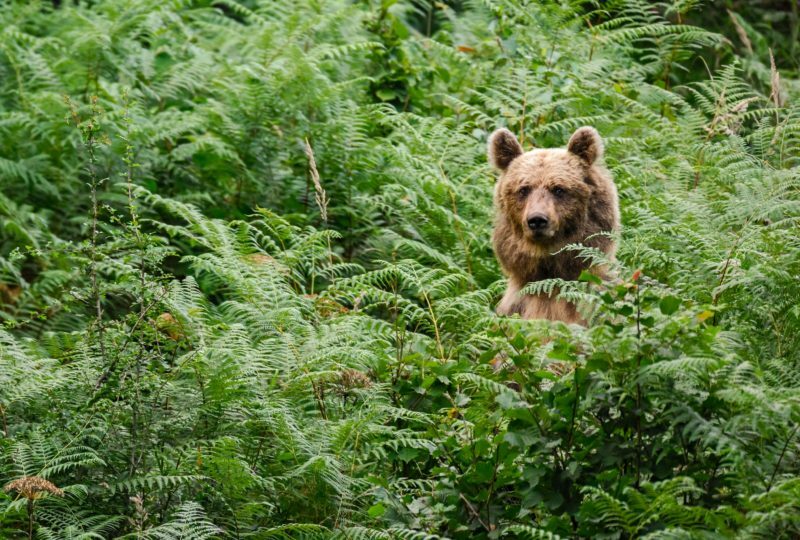 A visit to two karst attractions, the UNESCO site of Škocjan Caves and the intermittent Lake Cerknica, is followed by an exploration of the virgin forests of Kočevsko and bear watching, and it is all packed in a single day. A short visit to the capital of Slovenia, Ljubljana, returns you to the urban beat before going home. Developed in collaboration with LIFE DINALP BEAR project. Arrival to Ljubljana Airport in the afternoon, transfer to Bohinj. The objective for the day is for the entire group to gather at the hotel by the evening and get ready for the next day’s programme. Dinner is organised in the hotel and the rest of the day/evening can be enjoyed chilling out by the lake. Hiking around Bohinj can mean anything from strolling around the lake to proper mountaineering. However, the goal is to find balance and do something in between. How about a few hours backpacking in the mountains that are green in some places and rocky in others, or a short stroll along the Mostnica gorge? The crystal clear Mostnica stream has carved a two-kilometre gorge just above the village of Stara Fužina, which is easily accessible right from the shore of Bohinj Lake. In some places, the stream bed is extremely narrow and the gorge is up to 20 meters high. Those who want more are definitely at the right place as there are plenty of accessible mountains at hand. After all, it is all about preferences and body fitness. After coming back, why not take a refreshing dip in the lake before the hotel dinner is enjoyed with a glass of wine? Next on the outdoor menu is biking. The destination for the day is Planica, an Alpine valley extending south from the village of Rateče, not far from the well-known ski resort of Kranjska Gora. 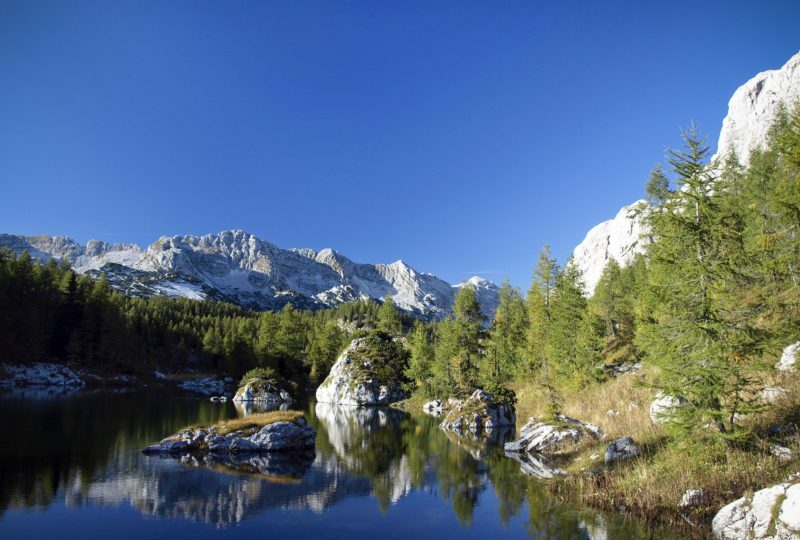 Further south, the terrain extends into the Tamar valley, a popular hiking destination of the Triglav National Park. Planica is famous for ski jumping. With the first ski jumping hill constructed here prior to 1930, the valley now boasts a modern Nordic ski centre. On the way back to Bohinj, a lunch stop is made at Stara Fužina, which is a perfect place to enjoy food. 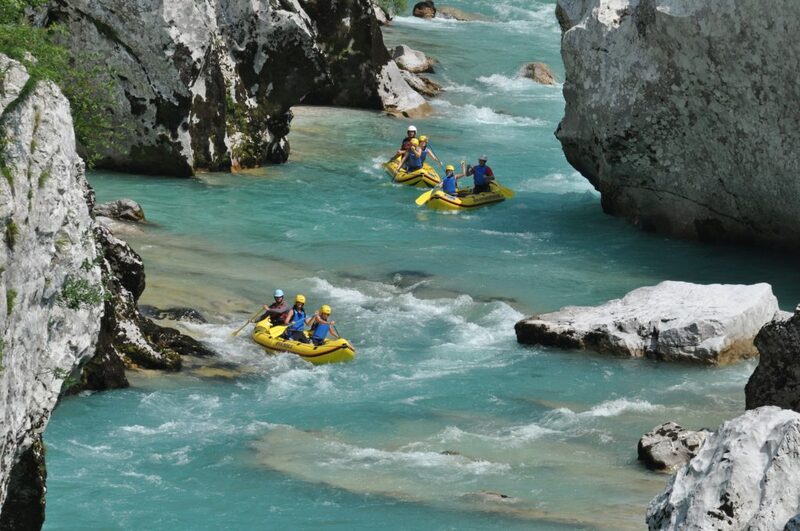 In the afternoon, the tour moves on to an outdoor adventure in the Soča valley. The most convenient way to get there from Bohinj is by railway, which leads through the mountain. The ride takes less than an hour. The cosy Kafol farmhouse welcomes the group in the town of Tolmin for a delicious dinner and an overnight stay. However, this is not just an ordinary meal but rather a warm-hearted welcome from the owner. Do not be surprised if he opens his treasury of home-made grappa immediately upon your arrival. The dinner, which is prepared with passion by the owner’s mother with the farm-grown ingredients, is a chance to taste Slovenian tradition at its best. The mini rafting can be a truly amazing experience for anyone who loves water and the outdoors. 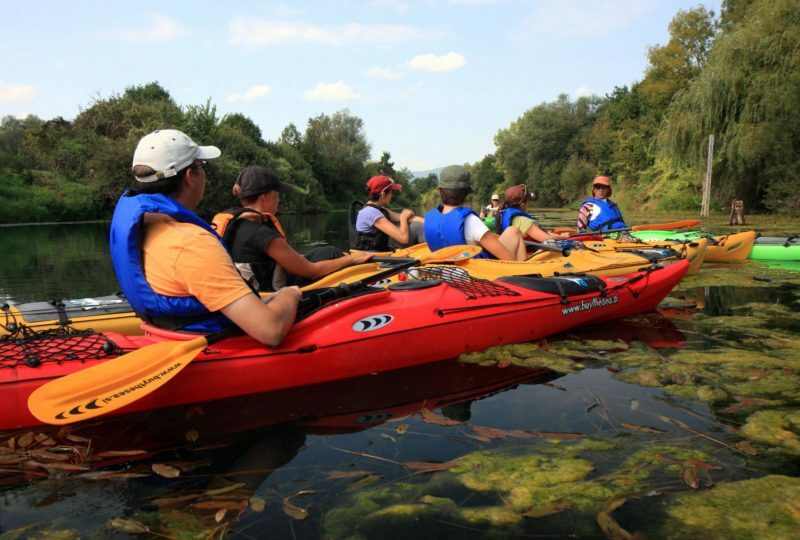 It has been the most popular programme on the Soča river for the last four years. The mini raft takes a maximum of 3 people, while guides accompany and entertain the group from kayaks. Although not as adrenaline-packed as proper rafting, it is still a fantastic and unforgettable adventure, which even includes a picnic. 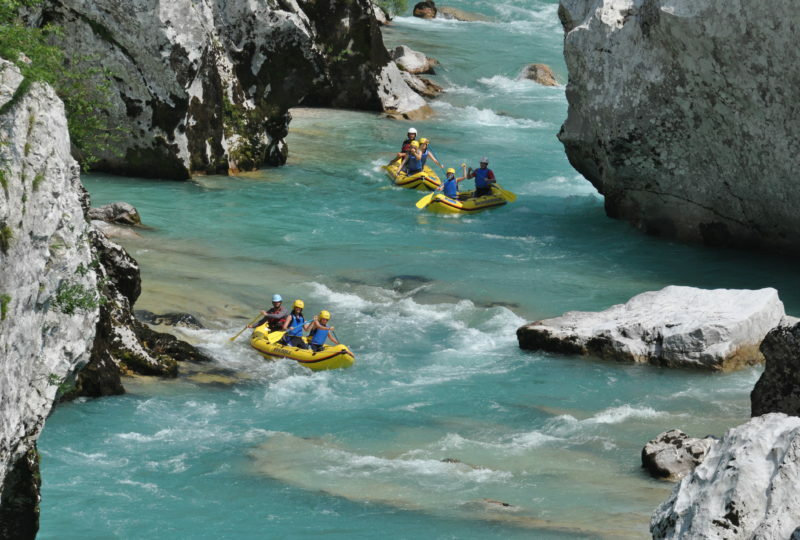 A walk around the Tolmin gorges, the lowest point of the Triglav National Park and one of the most popular tourist spots in the region, is planned for the afternoon. A tourist path, which offers a view of the gorges both from the top and the bottom, runs by the crystal-clear turquoise water. Those fond of history can skip the gorges and spend the rest of the day at Mount Kolovrat, which features an outdoor museum dedicated to World War I, where a one-hour walk can be taken through bunkers dating back to the First World War. Kolovrat is also famous for spectacular views over the Soča valley, the Friuli region and the Adriatic Sea. After that awaits yet another pleasant evening at the farmhouse with Mr. Kafol and his mother. The adventure continues after a hearty breakfast. The first attraction on the route are the Škocjan Caves, which made the UNESCO list of natural and cultural world heritage sites in 1986. The caves are also included in the Ramsar list presenting wetlands of international importance, especially water bird habitats. The Škocjan Caves are listed as the first underground wetland due to the important natural habitat, which comprises highly specific, often endemic species of terrestrial and aquatic cave animals, including the human fish (Proteus anguinus). The guided tour around the caves is followed by lunch with prosciutto and truffles, which are typical of the Karst region. After lunch, the group continues to the intermittent Lake Cerknica and the museum revealing secrets of this remarkable phenomenon. A guided bird photo hunt is organised at Lake Cerknica, which is known for its great variety of bird species. As many as 94 species of birds nest here and over 270 have been spotted in the area. The insightful day ends with a check in at a special accommodation called Hostel Bearlog, a perfect lodge for the adventure to the bear land. The check in is followed by dinner in a local milieu. 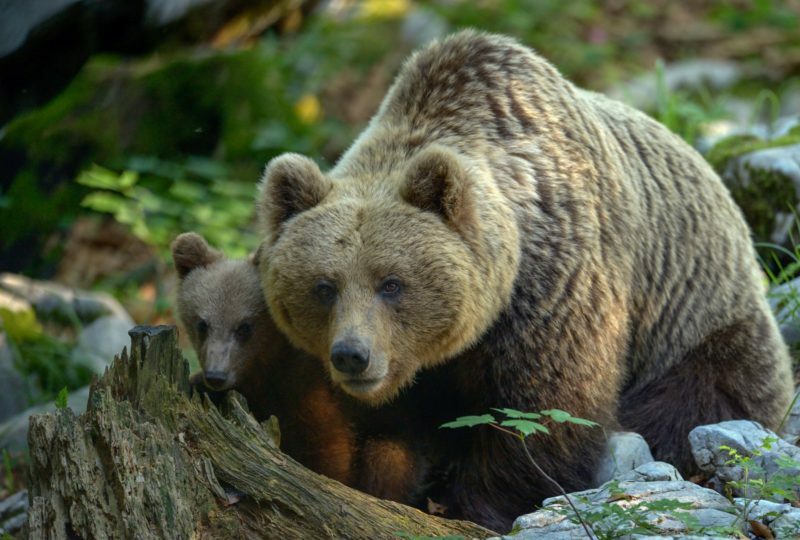 Before embarking on the next adventure, the guide will present the entire program and explain everything there is to know before entering the bear land. 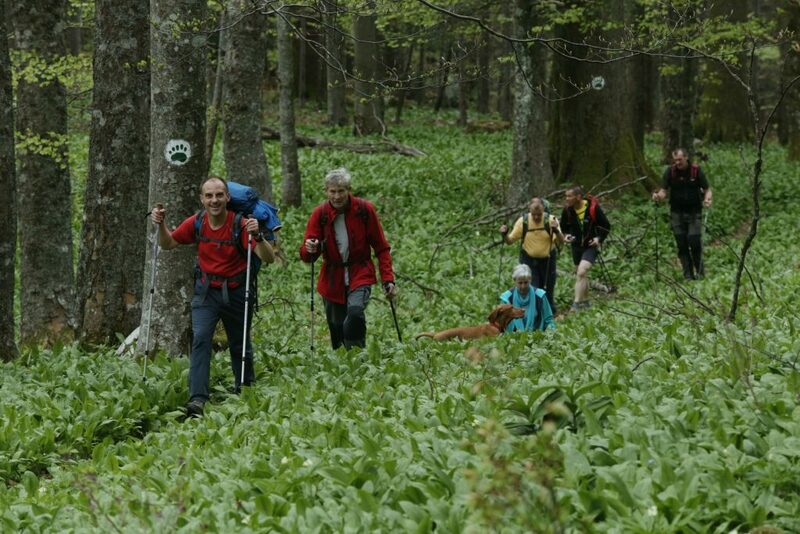 This day’s adventure, which takes place in the region of Kočevska, includes parts of the Roška pešpot hiking trail. Featuring marks shaped like a bear’s paw, it offers a great opportunity for a hike through the solitary Rog forest. Lake Kočevje, the Rajhenav virgin forest and the European silver fir tree queen of the Rog forest have been here for centuries. The tree with a 5-metre girth is more than 500 years old. The guide makes sure all photo enthusiasts are shown the hidden corners of the mystical forest. In the evening, a hunter-guided bear watching is organised from the lookout tower. Dinner is included in the package. The tour around Slovenia ends with style in the capital city. Ljubljana, which has attracted extensive attention over the last couple of years, is regularly referred to as one of the must see cities in Europe. After all, it was proclaimed the European Green Capital of 2016. Even a short walk through the old town centre across the well-known Plečnik’s Three Bridges and around the cathedral and the town hall will make a huge impression. The last stop is lunch at the Ljubljana castle, which is followed by an afternoon transfer to the airport. Any beverages consumed with meals that are included in the package. Any other items not included in the package. The adventure starts at the town of Bohinj and ends in the capital of Slovenija – Ljubljana. 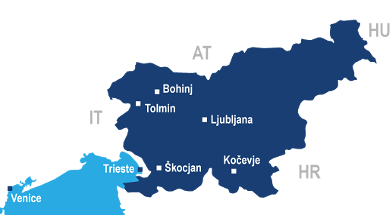 Seven international airports, those of Ljubljana, Venice, Treviso, Trieste, Klagenfurt, Graz, Zagreb are located within the 150-minute drive from Ljubljana. An airport shuttle from and to any of the seven airports can be arranged. One group can include a maximum of 8 people. 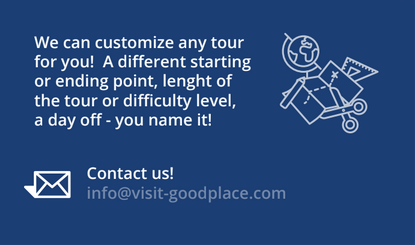 Several groups can share a single tour. Every evening a briefing session is organized, where the guide(s) reveal details about the next day’s tour.